As we’ve discussed before, there is a degree of looking back to the times before controllers, with many DJs rediscovering what life was like when you actually loaded some sort of physical media onto or into a deck. To enable this old way of working, you need a mixer, and there’s nothing more basic and fundamental than a solid 2 channel mixer. And if there’s one company to make their name entirely in this sector, and pretty much be the benchmark for all mixers, it’s Allen & Heath. 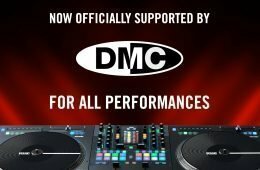 They rolled out their new vision for four channel mixers via the DB4 and DB2 models, but now they’ve turned their attention to the bottom of the mixer food chain via the new xone:23. There’s also a xone:23C coming, but let’s chew over the basic model first. I love rolling out the first things that come to mind when molesting a lump of gear for the first time, because generally these are the ones that are true and lasting. So here goes — small, heavy, hench, funny shape, funny layout, lovely. Let’s work our way through these feelings and explain in greater detail. For a two channel mixer, it’s small. Even budget ones come in at a standard 10″ width. The chassis on this is just 7.5″, with the somewhat bizarre funky faceplate taking it to 9.5″. Dwelling on this faceplate for a moment — I have a feeling that this is going to be a Marmite feature. I really don’t like it, and generally have my doubts about anyone screwing a two channel mixer into anything. 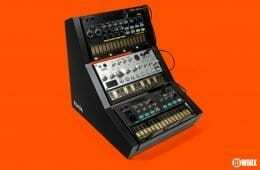 I feel that I would adore a straight-cut-to-the-chassis faceplate to make essentially what would be a solid block of a mixer and still not compromise anything. Anyway, getting back to the heavyweight nature of the xone:23. 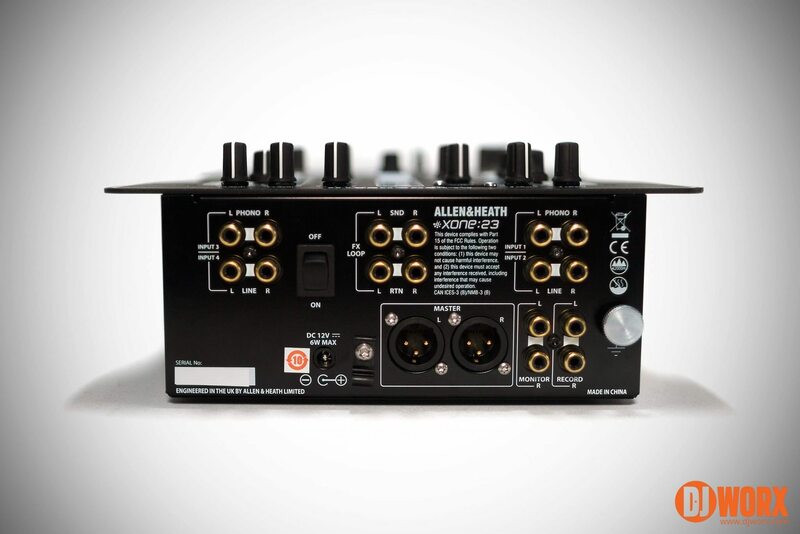 It’s made by Allen & Heath, and they do not mess about. The faceplate and chassis are thick, and all the pots are nutted to the faceplate. They’re plastic pots, but they’re short so the chances of being snapped off are really small. Pulling the faceplate off (more on that later) shows a very carefully designed innards, most of which is attached to the heavy faceplate, and is of the requisite high A&H quality. One nice touch – the faceplate marking are UV sensitive, so in a darker environment the markings will stand out. Something to note — despite being plenty of space inside the chassis, the power supply is external. So be ready to lug around (well relatively anyway) another wall wart in you. BUT IS IT A SCRATCH MIXER? 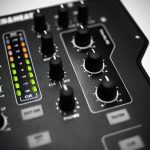 This is where we need to talk about the difference between two channel mixers and scratch mixers. There is an assumption that two channels = scratch. This is quite wrong, and the xone:23 typifies this perfectly. Looking at the layout first – mixer convention generally dictates that the channels sit in the middle of the chassis, and the rest of the gubbins sits around that. This is not the case with the xone:23. A&H have gone out of their way to keep the channels separated, thus pushing the line faders further apart than most scratch DJs can handle. And putting controls between the line faders not only clutters up the normal clear fader area, but makes it just about impossible to spread your fingers to handle both faders with one hand. To add more fuel to the scratch-unfriendly fire, the line faders have no curves or reverses, and the crossfader has a single curve switch between linear and sharp. 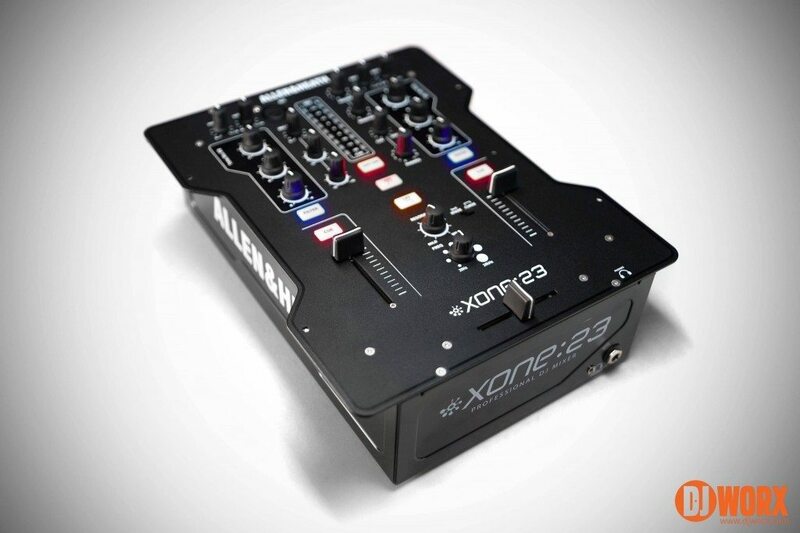 Let me make this clear for you — the xone:23 is not a scratch mixer, but is a two channel mixer that can scratch. The difference is clear, and is most definitely not to the detriment of the product. The only issue I have with this layout is that I’m more accustomed to EQs on the inside, thus I found myself reaching for the wrong controls. Even now after an extended play, it still takes time to get used to it. If you don’t need to go hamster, then the answer is yes. But conventional scratchers will be happy enough. The lag is a hefty 4mm per side, but if you fancy breaking out the old school credit card mod, you should be able to close up this gap to whatever you like. And preempting the usual question, yes it can take an Innofader. It sort of flies in the face of the plug ‘n play nature of Innofaders in that you’ll need to get a custom mini Innofader directly from A&H, but it really is worth the difference. Popping the lid off (you’ll need Torx bits to do it) showed me the spartan insides as well as the slightly over complex fader arrangement. The stock Alpha has a non-standard screw distance, thus the fader plate is designed to use both sides. But once in place, the xone:23 becomes a scratch demon. The lag is reduced to 2mm and the curve is a real on-off affair, and some may feel it’s a tad too sharp to the point of appearing to have a very slight pop. 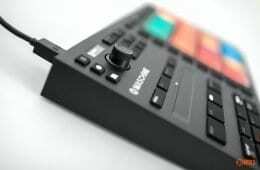 But if you’re a scratch DJ, the £50 for the custom mini Innofader is well worth it. I don’t know about fitting a regular Innofader into the xone:23 as information on this hasn’t exactly been forthcoming. I have been told that trying to save some money and attempting to fit the A&H custom mini Innofader into another mixer isn’t advised. If you want an Innofader, get the custom mini Innofader available from A&H. While A&H’s take on mixers can be eclectic at times, there’s no mistaking the reason why they’re so respected around the world. Breaking down what’s going on the in the xone:23 — there are two channels, with phono and line RCAs per channel. But instead of the usual switch, you can run say a turntable and a CD deck into one channel, each with an input level, and both sharing the channel EQ and faders. A&H also detail a probable warranty invalidating mod that turns phono to line if you’re rocking four x line level devices. It’s an unusual take on inputs, but does give a little more flexibility over a this or that switch between line and phono as is customary with such things. Like a lot of controllers, it’s effectively a 2+2 channel mixer. I suspect most buyers will only use two channels anyway. The three-band EQ range is kill to +8dB which for the target market is ideal, and sees the mid EQ doing most of the work. Strangely there is no EQ gain knob, but then you remember that each input has its own gain. So it’s not wrong — it’s just different. Metering is handled by a pair of nine part LEDs — five green, three amber, and a single red one. From a master perspective, they operate post-everything, but when cue is engaged per channel they become post-input, post-EQ, but pre-filter, which means that you can’t cue filters in your ears, which would have been nice. It’s the filters where I’m both perplexed and impressed. In most budget mixers, filters are added per channel and operate from low pass to high pass on the same knob. 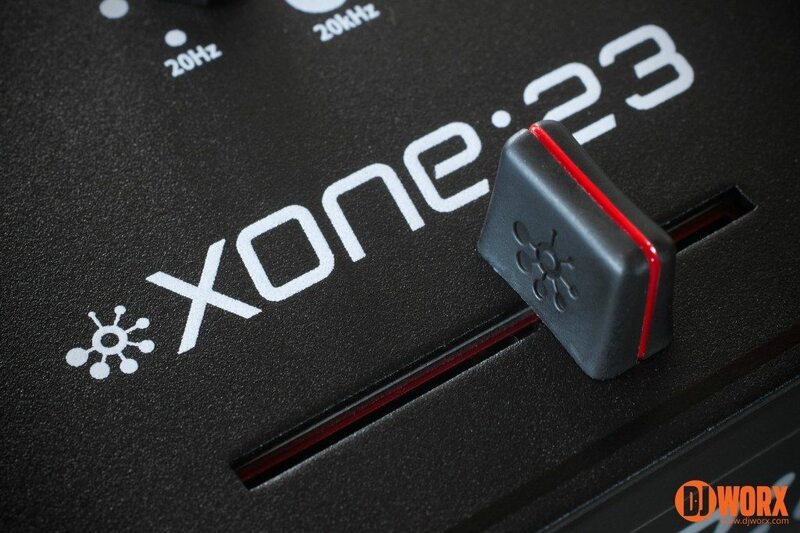 The xone:23 handles it differently in that there is a single filter, assignable to one or both channels, and can be used in low pass or high pass mode universally. There are two filter controls, one that adjusts the frequency from 20Hz to 20kHz, and a resonance control that makes the filter smooth or a lot more lively. Sitting here thinking about this, my knee jerk reaction is to bemoan the lack of filters per channel, and also how they’re not a combined low/high pass. But when I thought about how I use filters, I normally apply a filter to one track while letting the other play unaffected. And in this respect, the xone:23 filter is actually better because it gives you a tremendous amount of control over the filter that’s being applied to the track. Some may see it as a limitation, but I’m seeing is as more of a refinement and offering more control. This screams Allen & Heath flexing their pro-audio muscles. Ultimately the sound of the xone:23 is amazing. It is loud and clear, and the filters offer that legendary sound that A&H is known for. Trust me — you won’t be disappointed if sound is a top priority for you. Already partly covered above, let’s see what A&H have built into the xone:23. You get line/phono RCAs per channel, both with input level controls. There are balanced master XLRs and unbalanced RCAs booth outputs, both with dedicated volume controls, and a separate RCA output for hooking up a recording device. On the faceplate, there’s an unpowered XLR mic input, with gain plus hi/lo EQ. I’m not 100% happy with the location, but that’s a personal preference. Essentially, the xone:23 pretty well specced for a simple mixer. As far as monitoring goes, there’s 1/4″ and minijack connections, and a cue/mix control. Sorry – no split cue. Shame. There is also a send and receive loop. This works by sending one or both channels out to an effects unit, and receiving the effected audio back in and summing it with the channels. There’s no onboard control over wet, dry, or volume — that has to be handled by the effects unit itself. At the time of writing, I was playing a time-based game of cat and mouse with one courier delivering an effects unit and another picking up the xone:23. The latter courier won. Thankfully a xone:23C is winging its way to me soon so I’ll test the loop thoroughly when it arrives. 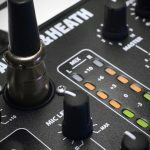 Just to reiterate this — rather than being a scratch or battle mixer, the xone:23 is a general purpose two channel mixer built to A&H’s exacting standards. It can scratch, and is even better when fitted with the custom mini Innofader. And for me, that’s absolutely fine. I wasn’t sure where A&H was going when I started playing with the xone:23. But once I’d worked through some of the things that didn’t add up from a scratch DJ perspective, it became clear that this wasn’t trying to please that small sector of the market, but was aiming at delivering a cost-effective slice of A&H to a wider audience. One cannot help but marvel at how A&H build things, especially when you pop the lid off. It’s all so incredibly neat and high quality. I miss the old xone push buttons, and wish that they weren’t so ruthlessly efficient in soldering the faders right to the motherboard. But overall, the xone:23 is a supremely well made two channel mixer that wears many hats, all of which bear the A&H badge with pride. For a budget mixer, A&H has squeezed the maximum out of the price. Good work. It’s Allen & Heath. It goes without saying that even for a budget mixer, this is as good as it gets. 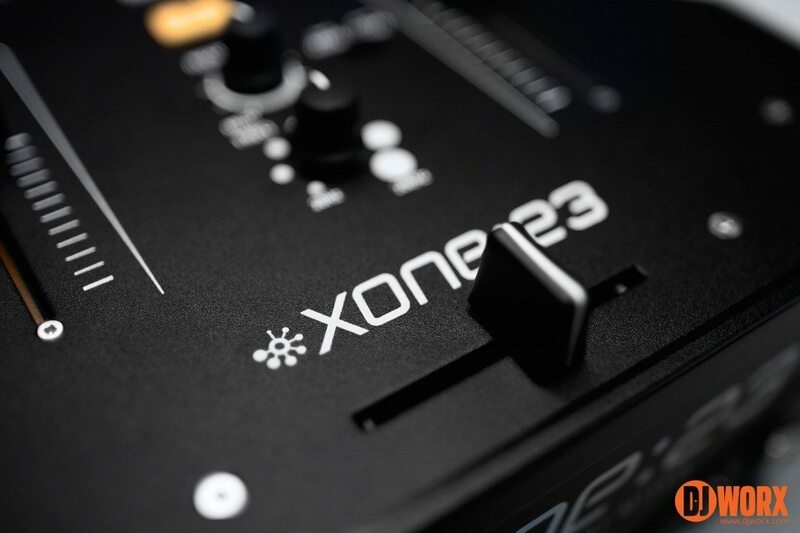 For a two channel mixer, the xone:23 is very well equipped. 2+2 channels, a great filter system, a S&R loop, and well specced outputs makes this a beast. There are cheaper models out there. But you really do get what you pay for. 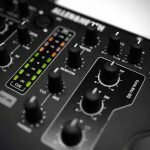 The Allen & Heath xone:23 is A&H’s unique take on the two channel mixer market. It takes a little getting used to, but once you persevere, it delivers that classic A&H experience without fracturing your bank account.